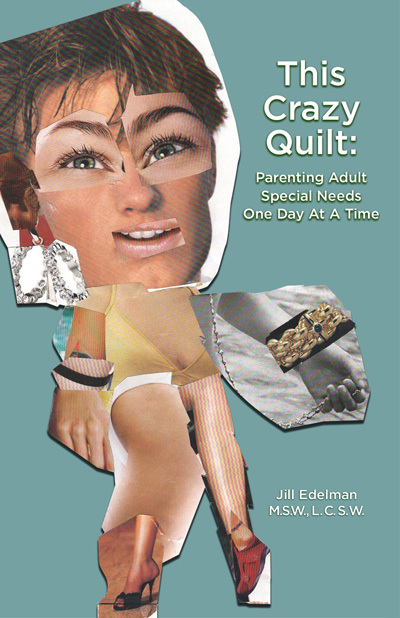 This Crazy Quilt: Parenting Adult Special Needs One Day At A Time chronicles our family’s process as our special needs daughter turned 21 and “aged out” of her school system. It’s all here: our steps, missteps, failings, successes, emotional highs and lows, bureaucratic bumblings and staff saves. My hope is that by extending my hand to you and guiding you through the pages of our family’s journey, you will feel less alone; that perhaps something in the pattern of our footsteps will offer guidance in your family’s quest to find a safe and satisfying adulthood for your special needs child. The book includes illustrations by our daughter and an extensive list of post-secondary and other resources for parents and families of special needs children. Print Version: Now available from Lulu. eBook Version: Now available for the iPad from iTunes, the Kindle from Amazon.com and the Nook from Barnes and Noble.